Partizan mt:s took a big step towards the Top 16 with a 74-71 win over Maccabi Electra Tel Aviv on Thursday at Pionir Arena in Belgrade. The Serbian champions used their home-court advantage to snap Maccabi’s five-game winning streak in Group C. Partizan was led by Milan Macvan, on-loan from Maccabi, who hit two clutch three pointers in the fourth quarter on his way to a game-high 22 points and 8 rebounds. 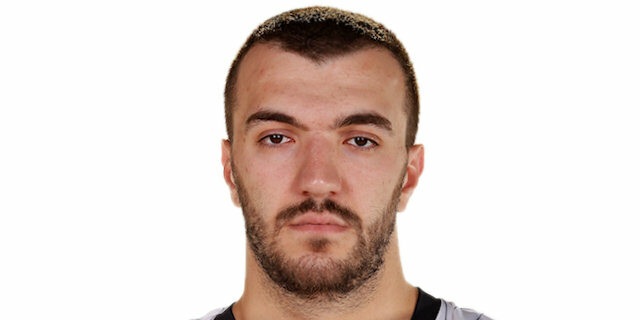 Nikola Pekovic scored 17 for Partizan, which was without injured point guard Acie Law, but got a huge lift from young forward Vladimir Lucic who finished with 15 points. Maccabi missed its first chance to secure a Top 16 as it dropped to 5-2 and into a tie with Real Madrid for first place. Devin Smith led the way with 12 points. 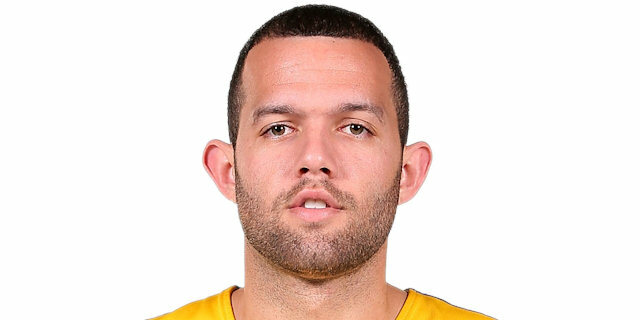 Jordan Farmar added 11, and Sofoklis Schortsanitis scored 10, all of them in the second quarter. Pekovic got the crowd fired up right away with a monster two-handed dunk. Smith quickly answered with a three, but Pekovic and Macvan scored on the next two Partizan possessions for the home team to stay in front. Both teams pushed the ball often early on, and it was Partizan that used it to its advantage best with Pekovic and Macvan scoring again. While Farmar and Richard Hendrix kept Maccabi in touch, Petar Bozic made Partizan’s first triple of the game. After a timeout, Macvan scored on a drive and Pekovic converted another fast break to cap a 7-0 run and give Partizan 17-9 lead with less than seven minutes gone in the game. Maccabi tried to get the home team out of its rhythm with a zone press and defense, and Farmar and Hendrix got them within 4 before Lucic made a tough triple as final seconds of the period expired to make it 24-17 after 10 minutes. 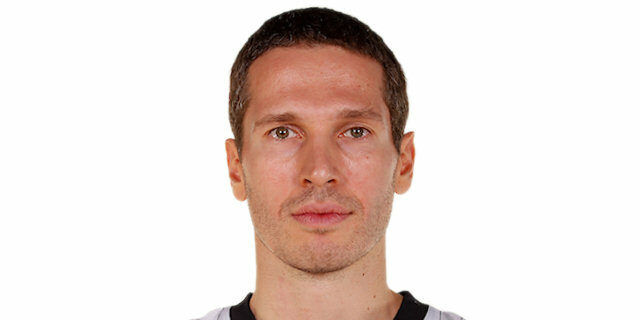 It took Partizan less than a minute in the second quarter to make it a double-digit lead as Dusan Kecman scored a layup and Lucic scored a wide-open triple from the left corner for 29-17. After a clever drive by Theo Papaloukas, Keith Langford failed to score on a fast break with the numbers, and immediately on the other side, Lucic scored a transition layup-plus-foul to give Partizan a 32-19 lead. David Blu made free throws and Langford scored in the crowd, but Macvan answered with a long two and Miroslav Raduljica dunked after an offensive rebound to make it 36-23. Maccabi kept struggling against home side’s defense, committing 7 turnovers in first 14 minutes, but then Schortsanitis scored his first points of the game with a two-handed tip-in while being fouled. The big man followed it up by making 3 of 4 free throws, and then stole the ball at mid-court to score a layup and end his own run of 8 points to cut the lead to 38-31. Maccabi refused to abandon its zone press and zone defense, and it paid off as Partizan failed to score a field goal in the final six minutes of the half. Farmar and Yogev Ohayon scored easy lay-ups, and Schortsanitis scored in the low post over Rasko Katic and Marko Cakarevic to make it 38-37. After the 2-14 run, Katic split free throws on one side, Schortsanitis missed both on the other and Partizan held a 39-37 halftime lead. Partizan opened the second half as it did the first, with Pekovic and Macvan scoring inside to give the home side a 45-37 advantage. 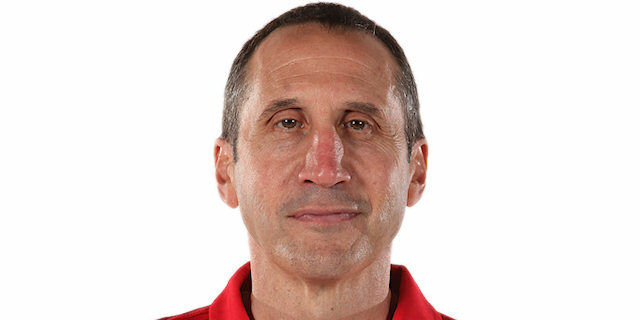 It forced Maccabi head coach David Blatt to call a timeout, but his team ended up scoreless for almost five minutes in the third quarter before Blu drove to the basket and Smith added a pull-up jumper to cut the deficit to 4 points. Macvan hit a three-pointer to give Partizan more breathing room, but Tal Burstein free throws and fast-break layup got Maccabi within 48-45. As defenses on both sides became even more aggressive, Cakarevic’s 2 free throws, Kecman’s drive and Pekovic’s basket in the low post gave the home team 7-point advantage once again, and Partizan went into the last quarter with a 54-48 lead. The visitors turned to Lior Eliyahu to start the fourth quarter and Lucic and Guy Pnini traded quick baskets in transition. Kecman made a great move in the lane and Macvan scored from downtown to make it 61-52. Smith made a tough drive, and Pekovic scored an easy basket from beneath the rim to maintain a 9-point lead entering the final five minutes. After a timeout, Langford made 2 free throws and Ohayon scored an off-the-dribble jump shot for 61-56. After a timeout by Partizan head coach Vlade Jovanovic, Kecman scored tough fade-away in the paint, before Langford answered with a drive and then split free throws. Macvan and Smith traded three pointers in a span of 12 seconds, and Lucic used an assist by Macvan to score a layup and extend Partizan’s lead to 70-64 with 1:12 to go. Hendrix split free throws, and after Macvan missed a three, Pnini hit a shot behind the 6.75 line to make it 70-68 with 20.9 seconds to go. But Pekovic drew an unsportsmanlike foul from Pnini, and on the ensuing possession Macvan drew an unsportsmanlike foul from Smith. Both Pekovic and Macvan split their free throws, and then Lucic hit both with 11 seconds remaining to seal the win.